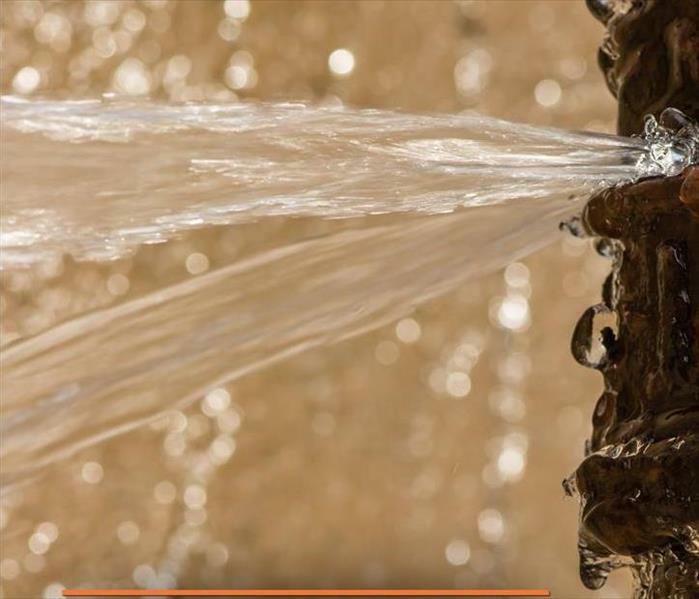 A water leak might not seem like a big deal, but it can cause quite a few problems for your Rosemont, IL, business if it isn’t taken care of right away. Here are a few issues that you might end up dealing with if you have a leak in your building. If there is a pipe break in your building, it can cost you a lot of money over time. The worse the leak, the higher your bill. Sometimes, you can have a leak for a long time before you notice it, so it is a good idea to perform regular maintenance to prevent this from happening. If you believe that your water bill is higher than it should be, this might be the cause. Not only can the leak itself cost you money, but it can cause water damage that will be costly to repair. If it is not fixed quickly, the leaking water can weaken the structure of your building by causing the walls and floors to begin warping or rotting, depending on the materials used. Eventually, they will need to be replaced, which can cost your business both time and money. Another common problem that can be caused by a water leak is mold growth. While this will not usually affect the structure of the building, it can still cause damage. This fungus spreads quickly in moist environments, so if you have a persistent leak, you may find mold growing inside of your walls. It can cause discoloration as well as a strong, musty odor if not removed. Despite the problems it can cause, if you do find a water leak in your building, there is no need to panic. A water damage repair company can help you by stopping the leak and repairing any damage it has already caused. Regular inspections of your building can help prevent any long-term problems caused by water. When business owners think about water damage, they likely consider flooding or broken pipes. However, the mold is probably the furthest thing from their minds. Fungal development is a serious side effect of leaks and flooding, and it is something that can spread well beyond the initial contamination site. Unfortunately, its growth does not only occur after significant catastrophes. In fact, your property may have a mold problem right now and you don’t even realize it. Therefore, to reduce your financial risk, it may be beneficial to become proactive about mold prevention sooner instead of later. Mold growth most often occurs around sources of moisture. To prevent its development, you should inspect your property, particularly around windows, doors and rooflines where seals may have worn away or sheathing may have been damaged. If you find any weak points or cracks, replace these areas. Additionally, if you know of any small leaks in your plumbing, repair them. While water damage is an obvious source of mold development, you should not limit yourself to only inspecting areas prone to leaks. Check areas where humidity is higher than average, such as basements and attics. Keep humidity levels consistent throughout the property by installing dehumidifiers on the premises. Beyond controlling humidity and moisture levels with dehumidifiers, you can also use proper ventilation methods by installing HVAC systems and fans. Air returns that are built into HVAC units help to keep air moving, while fans help to reduce the level of humid air in kitchens, laundry rooms, bathrooms and attics. 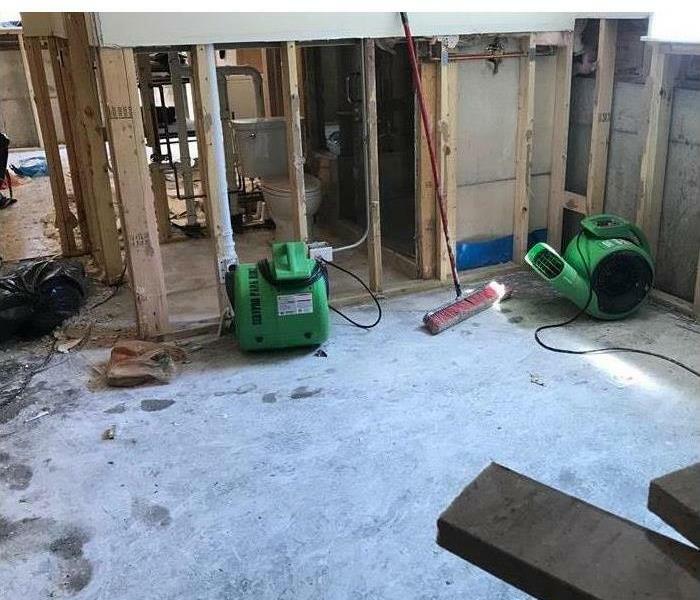 Contact a water damage remediation specialist in the Rosemont, IL, area to see about putting in mold-resistant products. Drywall and even fabrics exist that repel mold growth. While water damage is a significant source of fungal development, it is not the only source. Control the level of moisture in your building by ensuring seals are tight and humidity is regulated through the use of humidifiers and ventilation systems. Be proactive. When your in need of water restoration, call the professionals. Remember that as the water seeps into the wooden furniture and floors, it can lead to huge losses. Before you contact your insurance company, it's important to turn off the water to stop the leak. An emergency plumber can repair the leak. Once the leak has stopped it is important to remove the water as fast as possible. 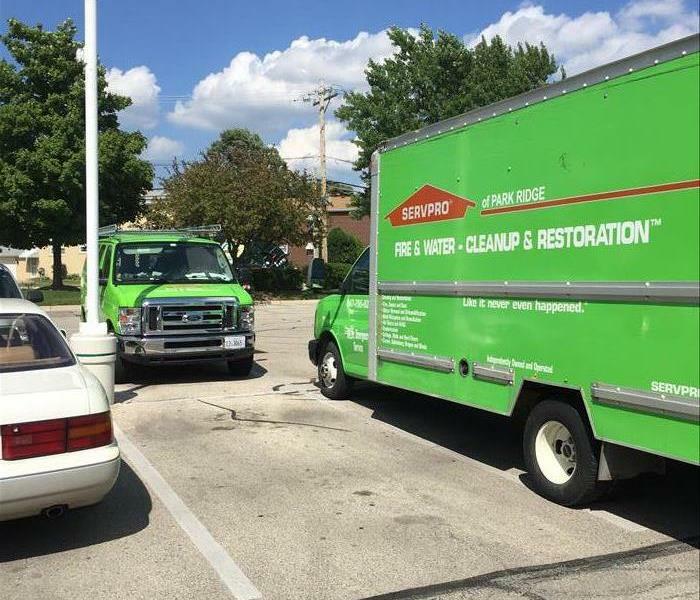 SERVPRO of Park Ridge, N. Rosemont & S. Des Plaines has the necessary extraction equipment to remove most of the excess water. We also have the drying equipment that will remove the rest of water from wet surfaces. Water damage can be extremely costly to repair, but if you tackle the problem quickly, you can prevent the loss from becoming more costly. Water cleanup is the best way to reduce the impact of the mold growth in business floors and furniture. The sure way to prevent mold growth is to dry the building completely. By eliminating the water, you will keep the mold spores from having the moisture they need to grow. Acting promptly after a water loss is the best way to prevent mold growth. In addition, failure to remove the water in home floors and other wooden surfaces can lead to significant destruction and possible mold growth. If you do not have a policy for water damage, you might have to handle the repair costs alone. Insuring your home against water damage will help you to cut the cost of restoration significantly. While the insurance company will help you with the restoration, you must also take the mitigation seriously. If your home insurance policy does not cover the cost of flood damage, you will struggle to undertake the restoration and repair jobs. Water cleanup in the quest to avert the flood damage can save you a huge amount of money. If you experience the damage of water in home or office surfaces, ensure that you engage a specialist to tackle the problem. The pollution levels of the water in home storage tanks will also have an impact on the damage. If the water in business reservoirs and tanks has some impurities, they can affect the wooden surfaces in a negative way. Whenever you want to mitigate the negative effects flood damage, water cleanup is the priority. Whether you are experiencing the leakages of water in business premises or at home, you require the help of a competent contractor. The contractor will remove the damaged elements and salvage some materials to save money. Drying the wet wood can help to reduce the overall cost of restoration compared to undertaking an overhaul. The best way to protect you home from such problems is to come up with the right mitigation measures. While you may not have the special drying equipment, you can avoid the problems by repairing your plumbing system. Replacing a faulty faucet is one of the best mitigation measures if you are looking to save on home restoration significantly. Reduce the damage by water in business furniture by taking the right measures to mitigate the problem. Visit us for more information on water damage. What Storm Services Does SERVPRO Provide? A storm can cause a great deal of stress for property owners and insurance adjusters in Park Ridge, IL. Storm restoration services should provide relief rather than causing more frustration. Rely on a company that offers a wide range of services and responds Faster to Any Size Disaster. A local franchise can be on location within a matter of hours. If a severe storm increases the volume of service requests in an area, nearby franchises can help to manage the workload. SERVPRO can mitigate damage from inclement weather or disasters as soon as possible. Whether standing water needs to be pumped out of a structure or a building has suffered severe damage, disaster mitigation and restoration services are available at the same one-stop shop. After mitigation measures have been taken to limit the damage, restoration is still necessary. A company that provides both mitigation and restoration services can deliver a more complete estimate. This can prevent unexpected costs or delays later on in the process. SERVPRO also uploads information to an electronic Claims Information Center to make processing and settling claims easier for insurance agents and adjusters. 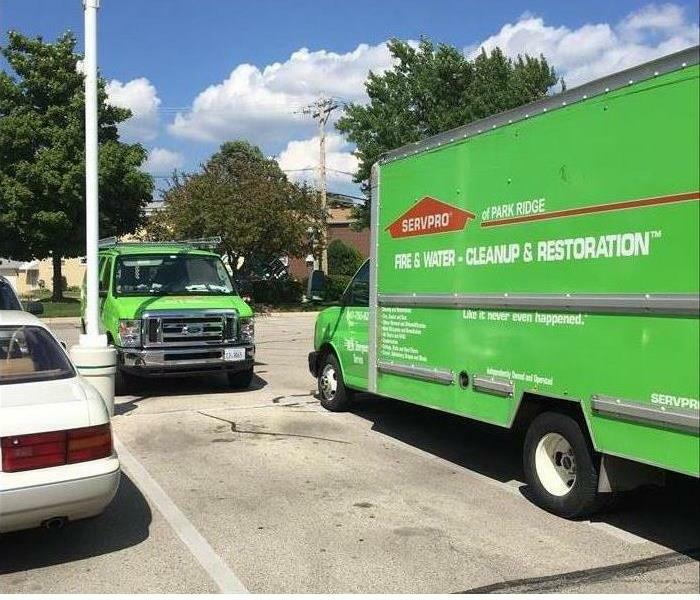 All of these services set SERVPRO apart from other mitigation and restoration companies located inPark Ridge, IL. Property owners and insurance agents who are in need of storm restoration services should rely on a one-stop shop capable of responding quickly to any incident. If your in need of a fire restoration company, call us today! If you have ever seen the aftermath of commercial fire damage, a fire in home or fire in business, well, it's not a pretty site! Fire damage is not only deadly it can disrupt families as well. And if you live near a fire engine building and you hear a siren on a regular basis, you know that some person or family may be in the process of being introduced to some type of fire loss, smoke damage, soot damage and a sudden monolithic change in their air quality. They will also be looking at a disturbing fire cleanup that will cost them money. Is Your Crystal Ball Still Working? Some people who have never been involved in any type of fire damage like a fire in home, fire in business, commercial fire damage or any other type of fire loss, may chalk that up to those visits to a psychic and that magic crystal ball she uses. Sounds good, but that won't help if Mother Nature has her way. The only certain way you get the jump on fire damage like a fire in home, fire in business, or commercial fire damage, is to make attempts to not let a fire loss, soot damage, or smoke damage ruin your day in the first place. One major step is to educate you and all family members on the cause of these conundrums. Soot Damage, Smoke Damage Plus Fire Cleanup Can Ruin Air Quality! Any type of fire damage that includes fire cleanup will without a doubt, disturb your air quality. That said, keep in mind that you do have some parachutes at your disposal to keep fire loss, fire damage, fire restoration, a fire in home or fire in business or commercial fire damage to a minimum. Several of those parachutes belong to fire cleanup professionals who handle soot damage, smoke damage for a living. Fire damage and fire loss as well as restoration is not for a "rookie" like your Uncle Fred who told you he knows all about that stuff. So, leave him out and use a professional. Fires Are Especially Devastating To Homes And Businesses! Professionals will insure that your carpet and upholstery are cared for plus that fire loss and fire cleanup smell (odor) is gone which is a major consideration since that smelly soot damage and smoke damage has a tendency to hang around long after the fire trucks leave. Professional who handle a fire in home, fire in business or commercial fire damage will do their best to insure the air quality, and fire cleanup is restored to a pre-fire condition. And while these professionals are at it, they will make sure that you and all members of your family will not be required to use any more of those white surgical masks that work to keep you breathing good air quality, not smoke damage or soot damage. In the future make attempts to be prepared and think the boy scouts motto: Be Prepared. Visit http://www.SERVPROparkridge.com for more information on fire damage. Mold is more common than most people think and just because they don't readily see it all of the time doesn't mean that it is not there. It grows from tiny, microscopic spores that it puts off and these spores float through the air until they land in a nurturing spot where it can grow. It needs an area that is dark, has no moving air, and has a source of moisture to take root and grow. Ideal spots are basements, crawl spaces, attics, closets, behind walls where there are pipes leaking and similar spots. It starts out as a small, microbial growth and it will cover an entire wall and ceiling in a matter of a week. Mold can look just like a fungus or mildew, but it is far more pervasive and dangerous. It can grow in the midst of mildew and fungus, and it could be disguised by that. It comes in various colors from red, green, red, brown, white, yellow and black. Black is the most insidious as it is the most difficult to get rid of and it seems to be more toxic. People should not attempt to remove it themselves because that just stirs up the spores and can cause it to spread more rapidly and to be in the air more which can be more unhealthy to those around the area. If mold is suspected a homeowner or business owner should call in professional help, headed by an environmental hygienist, who can examine the substance and determine whether or not it is mildew, fungus, or a moldy area. A formal mold cleanup and mitigation project should be arranged with an environmental hygienist at the helm. This will ensure that the proper steps will be taken and that no one's health will be compromised. The environmental hygienist and the accompanying workers will wear protective clothing and masks which will prevent contamination of clothing and avoidance of breathing the spores into the breathing passages. The microbial growth of the corpus of the substance can occur quite rapidly, and this growth can put off spores that can be dangerous quickly. That is why the sooner mold cleanup and mitigation can take place the better. The environmental hygienist can determine exactly what kind of mold is present and will prescribe the exact treatment that will not only get rid of the substance but will also prevent is from recurring. It is not uncommon for a mold cleanup and mitigation to have entire rooms torn down and reappointed from wall to ceiling, carpeting, and furniture was thrown out and everything refurbished. Many times areas that are full of mildew and fungus are hiding the microbial growth of moldy areas, so those areas are dealt with accordingly. Once the areas where the infestation is identified and labeled, the mold cleanup and mitigation can proceed, and everything is made as new. Visit http://www.SERVPROparkridge.com for more information on mold removal and remediation. Your fast action and knowledge of your policy can help you file a successful claim. Bursting pipes are not the only issue that could prompt the need for water remediation services in your home. So many different factors can play into filing your insurance claim that you may not know where to begin or how to decide if the damage to your home in Park Ridge, IL, is covered. Here are three ways to improve your confidence that your claim will be accepted. Most homeowners' policies cover sudden or accidental water damage, but not every repair associated with it is necessarily covered. For example, your insurance will likely pay for the damage caused by a busted pipe but not to fix the broken pipe itself. 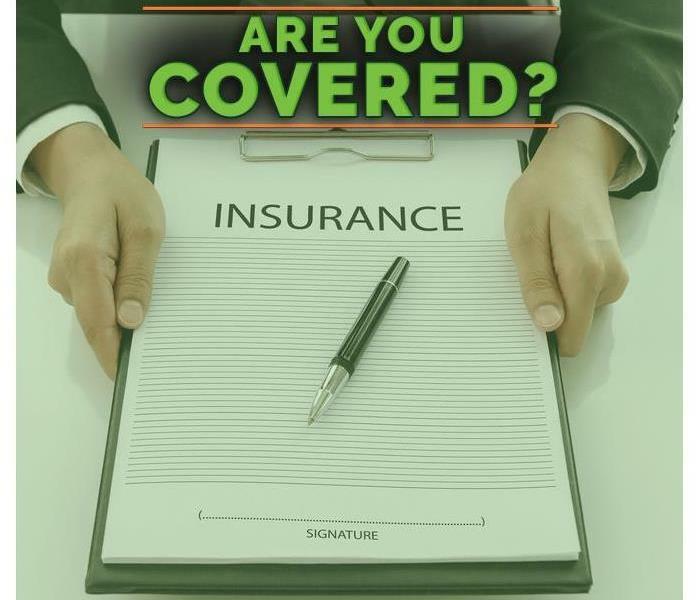 Depending on the exemptions in your coverage, you may be able to pay for the remediation of any secondary damage that happens as a result of the original issue if it was covered by your policy. Your insurance agent can help you understand exactly what your policy covers. The key to an accepted claim is often your own vigilance. Have bursting pipes repaired as soon as you notice the problem. Perform regular inspections and maintenance on all your plumbing. Make sure that your roof is intact, and have any weak points fixed immediately. If damage happens because you neglected to take care of your home, your claim may be denied. Keeping a file with records of the repairs that plumbers and other maintenance professionals have done can help you back up your insurance claim. If your action on an issue is called into question, you have proof that you stayed on top of the problem. Accurate records also help keep you on track so that you remember when your last inspection or update was performed. 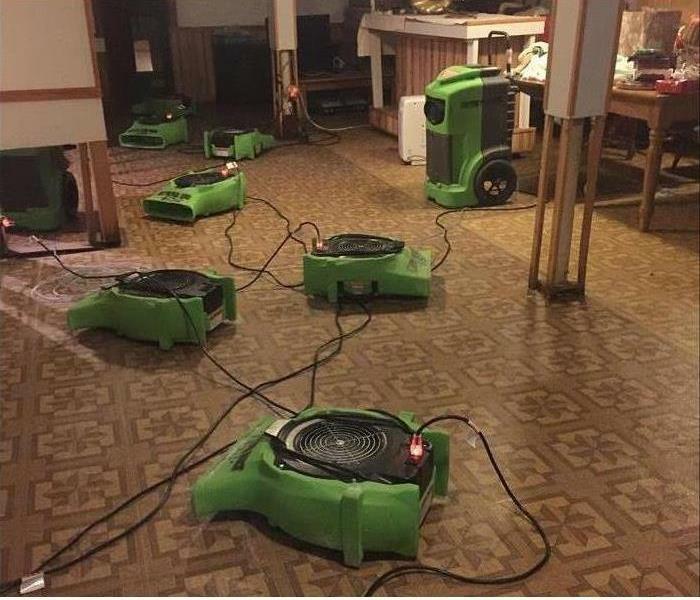 Whether water damage was caused by bursting pipes or some other type of leak, responding quickly and keeping an account of how you responded is important. Your fast action and knowledge of your policy can help you file a successful claim. Any level of mold in a home can be alarming, and while there are times when it may be safe to remediate the problem on your own, most instances require professional assistance. That being said, there are a variety of mold assessment choices that can alert you to not only the presence of mold but what type of mold it is. Keep in mind, however, that while not all mold is life-threatening, it can still be problematic. There are several mold test kits available for consumer purchase. These kits do not cost as much as a professional assessment and typically require you to take a sample of the suspected mold, sending it away to a lab and waiting for your results. A mold assessment will attempt to determine the mold species and its level of toxicity to humans. Therefore, an evaluation will try to determine whether the environment is safe for mold remediation. 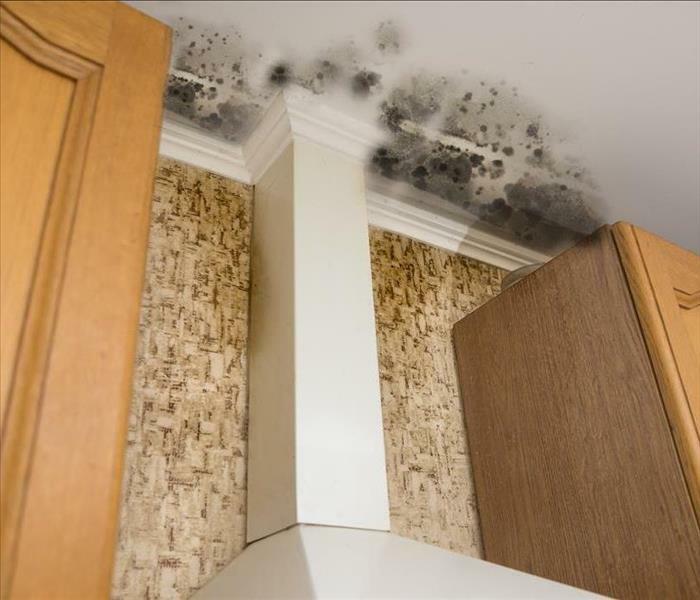 While it may be disconcerting, high levels of mold infestation, especially when deemed to be toxic black mold or other harmful varieties, may result in the condemning of a property. For that reason, you should never jump into a mold cleanout. While mildew is a surface problem, mold can be a surface and air problem because of spores, which is why performing multiple tests are often required. Additionally, knowing the level of airborne spores means that you can take the appropriate safety precautions before cleaning and removing materials. 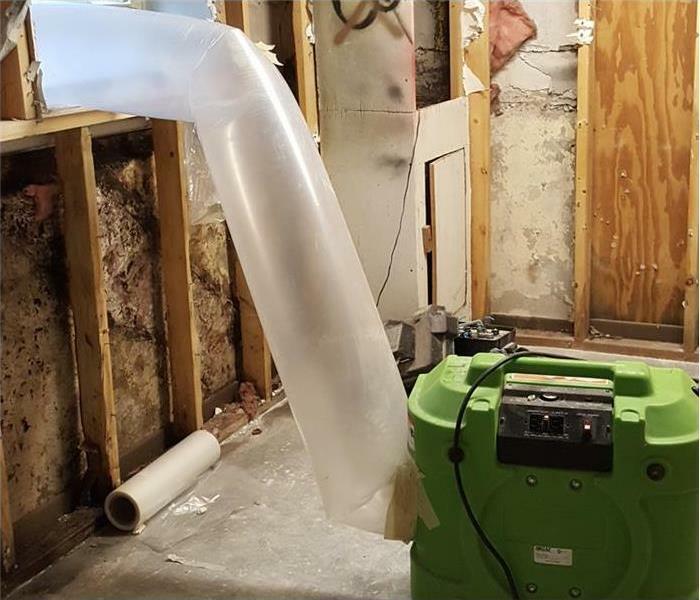 A mold remediation specialist in the Park Ridge, IL, area is the best qualified to perform mold removal because they have the certifications and experience to handle potentially toxic materials safely. When you have a mold problem in your home, it is necessary to handle contaminated materials carefully to reduce the risk of spread, which is why professionals are best. While a mold assessment can be performed on your own for less expense, it may not be the best decision. Trust a professional and protect yourself. If you have had water damage to your home or business at one time or another, it’s possible that you now have mold damage. The problem with mold in home or even commercial mold damage is that it will often spread until you focus on mitigation and remediation. This will allow you to get the problem under control and ultimately eliminated. It’s important to understand that mold and mildew are a form of fungus. Fungus has the potential to grow, especially when it is around moisture. This means that until you work on mold removal, the problem is going to continuously get worse. You don’t want to have this in your home or business, which means you need to do something about it. If you have mold in home, it might be growing behind the walls, in your flooring, and more. You might notice a smelly odor before you see the mold damage itself. If you don’t get it under control, it could spread to different rooms and start to eat through wood and other materials. Commercial mold damage needs to be controlled as well. You could lose a big part of your investment because of fungus. With mitigation, you get the problem under control and then with remediation, you get to schedule the mold removal so you don’t have to worry about it spreading any further. The more it spreads, the more it's going to cost you. This means you have to get the situation under control quickly. Whenever there is still a lot of moisture in the building, you are essentially feeding the fungus, which is going to pose more problems for you. Mitigating the problem allows you to stop the growth. Many people experience a smelly odor long before they see any kind of mildew or mold damage. This means that there’s the need for deodorization. There’s nothing worse than walking into a business and immediately recognizing commercial mold damage because of the strong odor. This means that you have to do something about it right away because it could scare off customers. A well-trained nose will know that it's mildew and this could be a way to ruin the reputation of your business instantly. It doesn't have to be this way. Deodorization is something you can schedule for your business as well as when you have mold in home scenarios. You can’t just use room spray in order to deal with the smelly odor, either. This will only mask the fact that you have mold damage inside the building. It will continue to spread and the smell could get worse. You need to focus on mitigation and remediation in order to get the mold removal scheduled so you can say goodbye to the smell once and for all. Mold and mildew will continue to break down the plant materials in your building. With mold removal, you can focus on mitigation, remediation, and deodorization. Otherwise, the fungus is going to continue to do structural damage. You don’t want to get into a situation where mold in home areas are causing you to lose drywall and the structural integrity of your home. If you have commercial mold damage, it might also start to affect inventory that you have. The reality is that the smelly odor and the appearance need to be controlled. With deodorization and professional mold removal, you can get the improvements needed to save your home or business. Using the CIC system through SERVPRO is likely the quickest and most reliable way to go. Researching an insurance claim is a large part of an insurance adjuster’s job, and that process can be slowed down by unreliable sources or other time-consuming issues. While there are many ways for an agent in the Park Ridge, IL area to verify and estimate payout, using the CIC system through SERVPRO is likely the quickest and most reliable way to go. For an insurance agent, it is about receiving reliable information and being able to get that information in a quick and organized way. The CIC, or Claims Information Center, gives agents the ability to search for claims by type and location within one platform, meaning that they can perform tasks quicker and more efficiently. The database is called ReportER and is accessed through the Managed Dashboard, allowing agents to use the CIC. These tools provide the necessary structure for the CIC to be not only useful but effective. Insurers are able to upload an insurance claim and check the progress throughout the life of the restoration. The entire system that SERVPRO has developed is designed to simplify the claims process for agents and making it approachable through the Managed Dashboard. It is here that insurers can review claims and other working projects, allowing them to compile all significant information in one place. The research involved in the insurance claim process can be incredibly time-consuming, but when an agent is inundated with unreliable sources, the process becomes unproductive. To ensure that an agent is equipped with the right data sets, it is important for them to start with the right tools, but more importantly, it is necessary to be able to track their progress. The Claims Information Center allows for all this and more. With the incorporated Managed Dashboard and the ReportER database, an agent has everything they’ll ever need. 3/23/2019 - What Storm Services Does SERVPRO Provide?